Propylene carbonate is a synthetic solvent that is used in cosmetics and personal care products to dissolve or suspend other ingredients in a formulation and also to decrease the viscosity of formulations. Propylene carbonate, also known as cyclic propylene carbonate, is a carbonate ester derived from propylene glycol. Propylene glycol is a small, water-soluble alcohol that is a very common ingredient in cosmetics and personal care products. It is synthetic product obtained from the hydration of propylene oxide, which is derived from petroleum products. Therefore, propylene carbonate can also be considered a petroleum-derived product. Propylene carbonate is a colorless and odorless liquid. In addition to use in the cosmetic industry, propylene carbonate can be found in some adhesives and paint strippers. It is also used as a plasticizer, which means that it increases the plasticity or decreases the viscosity of a material. In cosmetics and personal care products, propylene carbonate primarily functions as a solvent. It is typically used at concentrations ranging from less than 0.1% to 5%. Propylene carbonate is used in the formulation of makeup, primarily lipstick, eye shadow, and mascara, as well as in skin cleansing products. As a solvent, propylene carbonate helps to dissolve or suspend other ingredients in a formulation without chemically altering the other ingredients. Propylene carbonate allows for an even distribution of all ingredients in a cosmetic formulation and provides appropriate consistency for the product. Additionally, propylene carbonate has a high boiling point of 464°F (240°C). The larger the proportion of high boiling point solvents in a cosmetic formulation, the slower will be the rate of drying. Furthermore, solvents like propylene carbonate are used to thin out formulations and decrease viscosity. The term viscosity corresponds to the concept of “thickness”, for example, honey has a higher viscosity than water. Decreasing the viscosity of a formulation makes the product more spreadable when applied to the skin or hair. Solvents can also increase the efficacy of active ingredients in a product formulation by enhancing their absorption through the skin. The United States Food and Drug Administration (FDA) has reviewed the safety of propylene carbonate and approved its use as an indirect food additive as a component of adhesives. The safety of propylene carbonate has been assessed by the Cosmetic Ingredient Review Expert (CIR) Panel. In clinical studies, undiluted propylene carbonate was found to be moderately irritating to the eye and skin, but it was non-toxic by inhalation exposure. Propylene carbonate was negative for mutagenicity in bacteria and negative for genotoxicity in the rat liver cells. Products containing up to 20% propylene carbonate were determined to be moderately irritating to human skin, however, they were non-sensitizing, non-phototoxic, and non-photosensitizing. 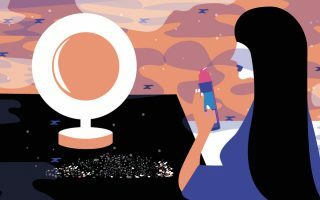 It should be noted that this concentration is much higher than the concentrations typically used in cosmetic formulations, which range from less than 0.1% to 5%. After evaluating the scientific data, the CIR Expert Panel concluded that propylene carbonate was safe as a cosmetic ingredient in the present practices of use and concentration. The safety of propylene carbonate has also been evaluated and rated on EWG’s Skin Deep Cosmetic Database. 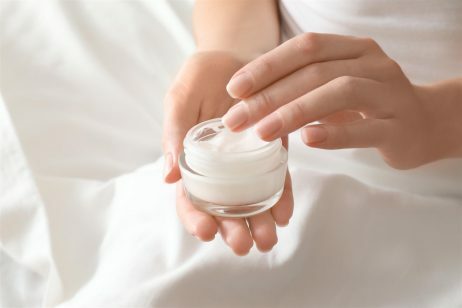 According to the Cosmetic Database, propylene carbonate is rated as a 1 on a scale of 1 to 10, with 1 being the lowest risk to health and 10 being the highest.